Excuse my terrible phone photo! Photographique is Phil Searle’s fantastic Bristol print lab: developing photos, printing them from digital and negative, selling frames and doing all kinds of things. They’ve recently moved into their new North Street premises. I’ve been using their services, or just dropping in for a chat, for 10 years, so I was completely delighted when the manager Hamish Trevis, asked me if I’d like to have my photos on their walls this month. It was a really good process for me. This Avon Stories project is about a year old, but while it exists in different forms online (including the podcast and social media), and of course all my walks are In Real Life, I haven’t started showing it yet. In fact, I haven’t had a show, or put photos on walls since my Photography degree finished, nearly 4 years ago. I’ve really missed the process of editing, and taking this huge pile of stuff I’ve been making, and thinking how I can present it, so my huge thanks to Hamish and to Phil, for giving me this chance. If you’re in/near Bristol, please do pop into Photographique, 53 North Street, and check out all their services online – and while you’re there, have a beer in Phil’s fantastic pub, The Hare, next door! And if you like film photography, you can also enter their Analogue Photography Competition from anywhere in the UK, and win cash prizes. But if you’re not nearby, I’ve put the photos I’m showing into a flickr album. As well as putting the photos on the wall, Hamish made me a fantastic little booklet to go with them, so if you can’t get to see the pictures in person, here’s what they are, and why I’m showing them. 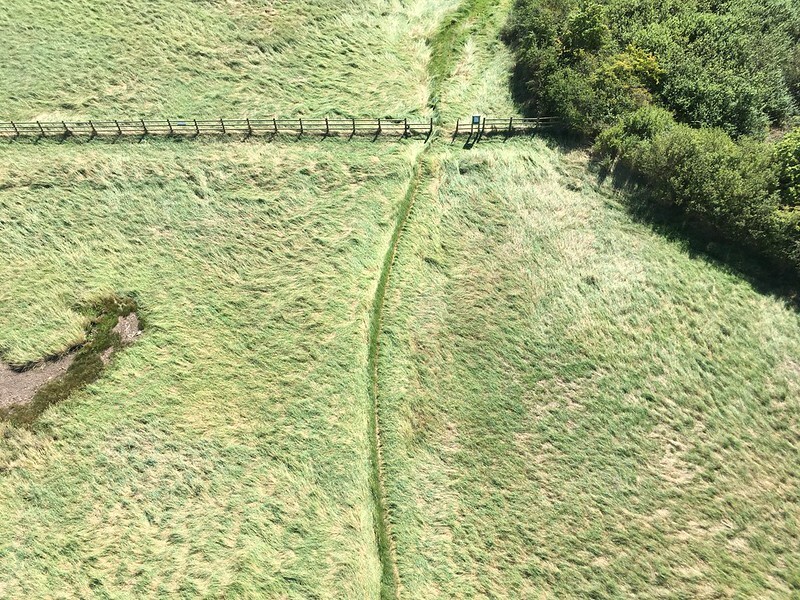 One of the podcasts I’ve recorded was with artist Richard White, about his walking project exploring the echoes of TransAtlantic Slavery on the River Avon between Bristol and Bath. I’d been on a walk he lead from Keynsham to Bristol, that had come into the city via the Feeder Canal. When we podcasted, we completed the river exploration, meeting at Temple Meads station and walking down the Avon to Netham Weir, the first barrier to the tide, and then down to the Black Castle, built out of profits of slavery. The walk included the closed portion of the Avon Walkway, from St Philips to Netham, where the path has eroded into the river. The path runs below car park fences, with industrial spaces on the other side, one of the few places on the Bristol river where the traffic noise fades into the background, and you don’t see other people – and while we were walking, we saw these clouds of gases being released from the gas plant into the river. It was an extraordinary, unnatural moment. 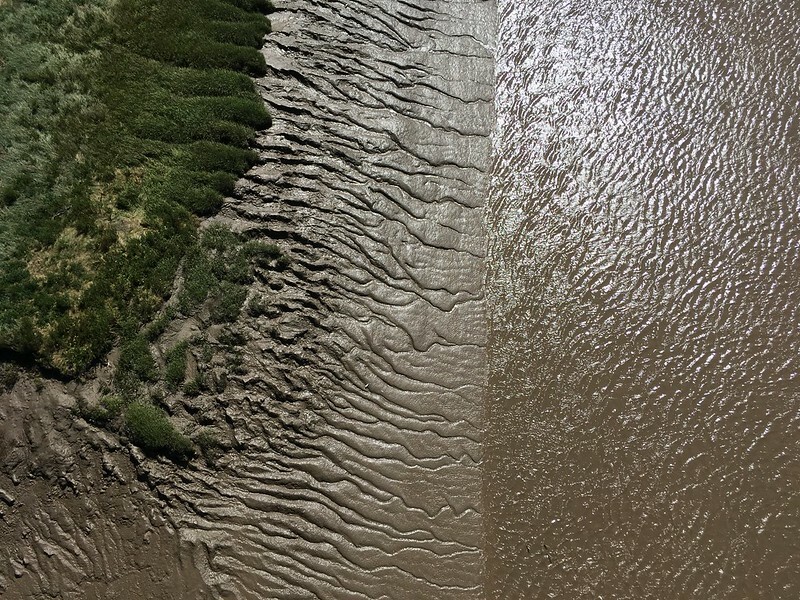 One of the characteristics of the Avon, and the wider Bristol Channel, is the mud, and how it constantly changes, recreating itself with every tide. In the same day it can glow silver, as the sun hits the water on the surface, or look disgusting or dangerous, full of bikes and debris – everything from sinister to spectacular. It’s a bit of an obsession for me, with something new to see every time. 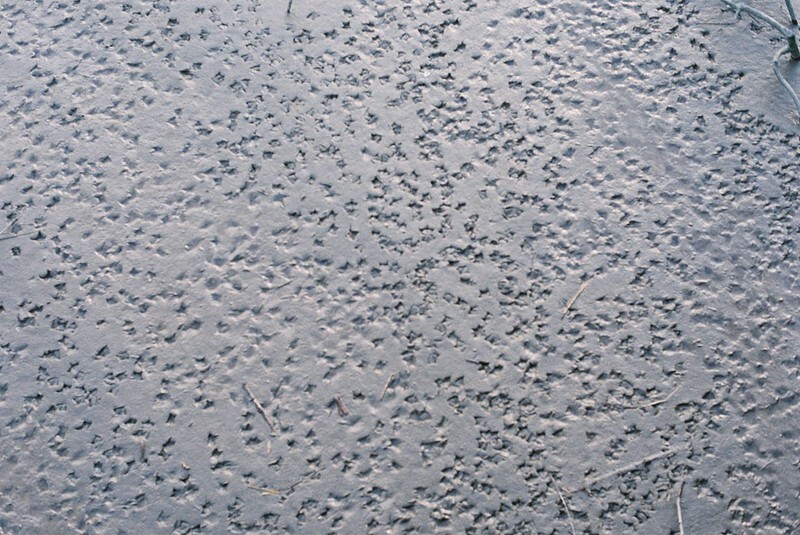 There are always bird footprints on the mudflats where the Floating Harbour meets the Avon, but I’ve never seen as many as on this March evening. 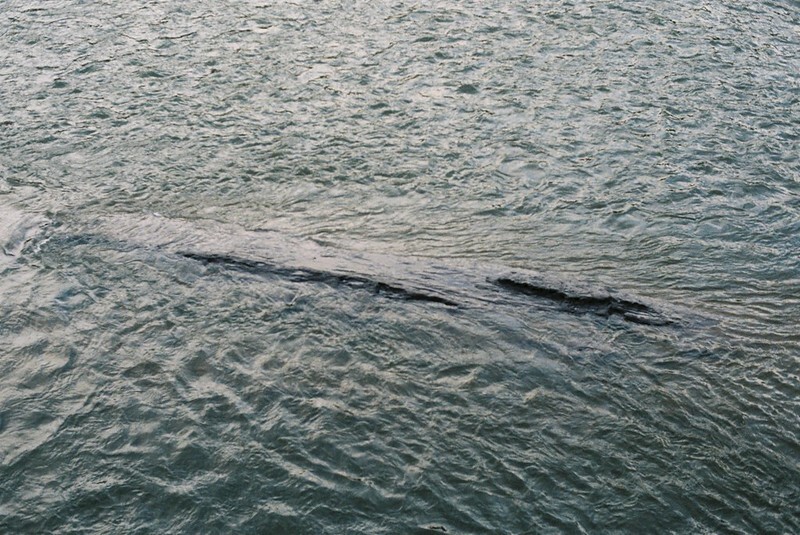 The river was rushing out, and the silt-island, that you can see on the maps of the river going back to before the Harbour was built, looked like the top of a sea-creature, cresting for breath. The Chocolate Path, the pedestrian and bike route along the Avon New Cut from Gaol Ferry Bridge to the Create Centre, was my first introduction to the river when I moved to Bristol, and was one of my most familiar routes. My Photography Degree Show piece was a film made where the water from the Floating Harbour is released into the Avon along the Path, and it holds a thousand memories for me. In the summer I recorded a podcast with Roy Gallop of the Friends of the Avon New Cut, talking about the history of the Floating Harbour and the Cut, and the work FrANC has done getting it designated as a nature reserve. But we also talked about how the lack of repair work was threatening the Cut – and since then the Chocolate Path has been closed for the foreseeable future, as the disrepair had lead to erosion. My photos from the Path are bitter-sweet to me – glad I had the many chances to take them, but sad those opportunities are lost to Bristol, with no sign of when, or if, they’ll return. Because of the Bristol Docks at the mouth of the Avon, the furthest west we can walk is on and around the M32 motorway bridge. There’s a pedestrian and cycle path that runs alongside the roaring motorway on one side, that shakes and vibrates the barrier over the river, so loud you have to shout to speak, while on the other, the views down the river stretch towards the city, looking peaceful and calm. I’d lived in Bristol for 17 years before I first walked here, and my project gave me the push to explore all the places I’ve planned to go, but never made happen. These were taken on a walk with my friend Tracy Homer, starting from Pill, on the western side of the Avon, under and over the motorway bridge and then all along the northern banks and back to the Harbour. We’ve walked this route twice now, in different seasons, and are planning it again, to see the views in a range of lights; but on every long walk along the Avon the tide continually changes, so that the high river full of reflections at the start will be the low, muddy banks at the end. 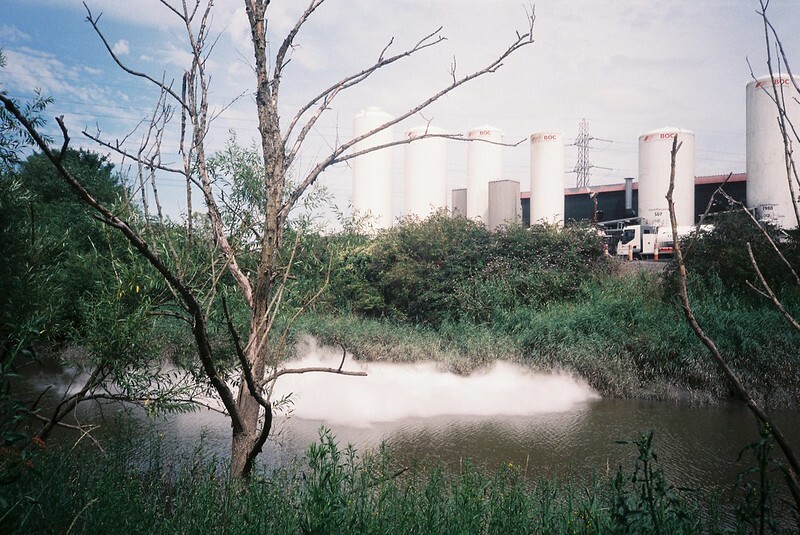 Although my project is called Avon Stories, it encompasses all the waters in Bristol. I especially love the little streams and brooks that form green corridors, above and below ground, linking disparate areas in surprising ways. These two pictures were taken in a walk along the River Trym, that first comes above ground in a park in Southmead, and runs through a nature reserve with a Round Barrow, through Westbury on Trym and the Henbury Golf Course, through the bottom of the Blaise Castle Estate and via various open spaces before joining the Avon at Sea Mills. When we started in the centre of Bristol it was a clear, dry March day, but in the north of the city, there was snow on the streets, and we walked through changing weather conditions from bright sunshine to snow flurries. It got me thinking about the ownership of rivers, as it flowed from public land to behind fences and gates, and from open, natural meandering streams to concrete culverts and back again. So many different environments in one short walk. 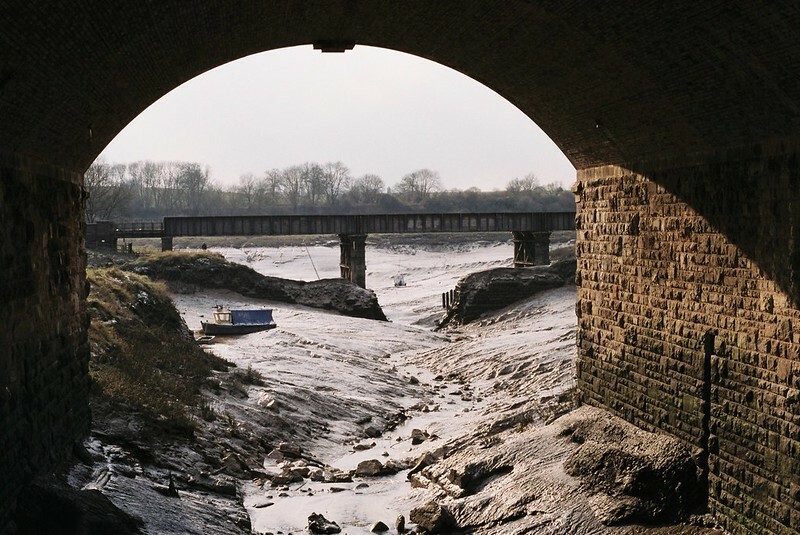 One of the major characteristics of the Avon is the tide, with the Bristol Channel having the second highest tidal drop (the difference between high and low tide) in the world. On top of this, there is also the impact of the rain, running into the river from all the tributaries and surrounding countryside, as well as from all the roads and urban spaces, so the lowest tide can look vastly different month-to-month. This photo was from an early morning walk to catch the Spring tide, the highest tide of the month. I wanted to catch that moment when the river hangs in balance as the tide is at its peak, before starting the rush out to sea – that twice-daily moment of stillness. My second Avon Stories podcast was a walk in Portishead with Dave Chillistone of the Portishead Railway group, who told me about the history of the Portishead to Bristol railway, why the shape of the Avon made it necessary, why it closed, and about the plans to re-open it. 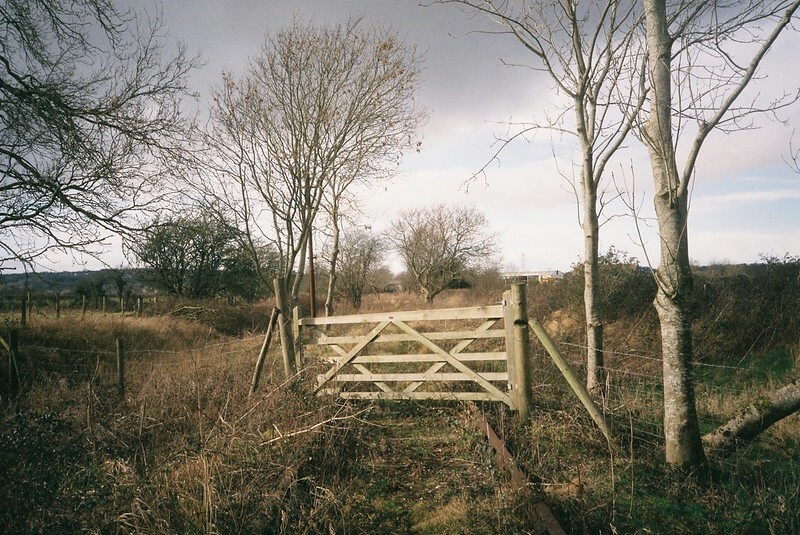 I’d podcasted in summer, when the abandoned rails were hidden by undergrowth, and then in winter I came back to walk it with Tracy Homer, as far as I could go, before taking to the cycle path. Various sections of the railway have been cleared at different points over the last few years, for exploratory work and surveying, and the bridge in the background of the shot, where the Sheepway crosses the tracks, was one of these unofficial boundaries. You go from taking easy steps over the sleepers, to following small tracks through undergrowth, to battling waist-high brambles. It wasn’t the easiest walk, but it was a gorgeous one – and one that, with the work due to start on bringing the railway back “soon”, will disappear. In a few years time, I’ll be sitting on the train, remembering the ditch I fell in, the place we saw the deer, the stand of dogwood glowing orange, and this gate across the rails. 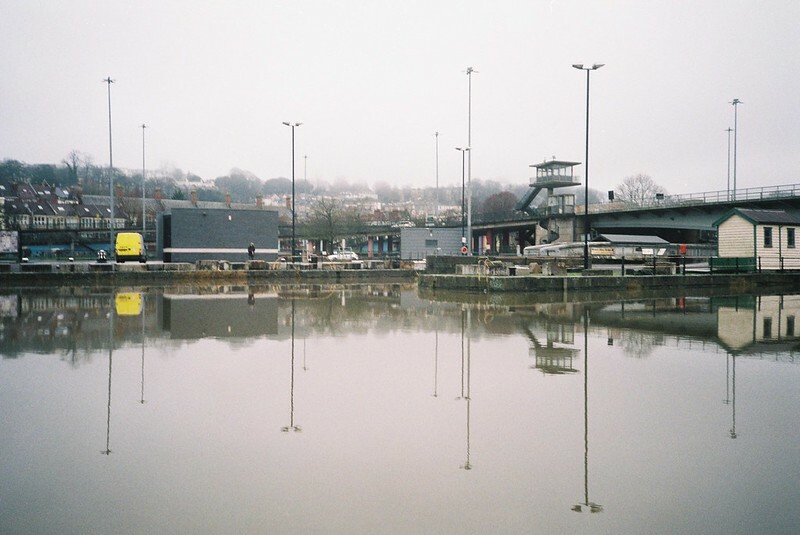 I started my Avon Stories project last year, to use the waters in Bristol as a very loose jumping-off point to explore the city, and as a way to combine various interests and parts of my life. I walk everywhere: for commuting, pleasure, exercise and mental health; for six years I was podcasting about professional cycling; I have a degree in history and another in photography; and I’ve always been fascinated by urban nature, and the idea of the “everyday extraordinary” adventures that are available on every doorstep. And I love the Avon, with the huge tidal range, and the way it is always changing. There are three main strands to Avon Stories: photography, walking, and podcasts, with forays into films and sounds – and sometimes all of these combine. I mostly use film cameras, because for me, there’s a meditative aspect to taking photos when I can’t instantly see the results, and check if it works. Of course this means sometimes I get things wrong, and miss getting an image of the moment, but the act of taking a shot fixes it in my memory. 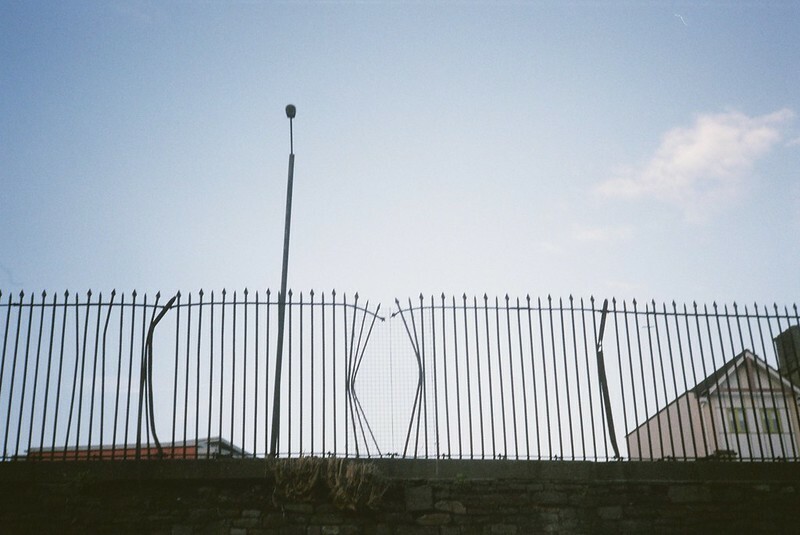 My favourite camera is my Olympus XA2, a very basic point & shoot that has only 3 distance settings. It’s a pocket-sized camera I can take practically everywhere with me, and shoot quickly when I want to – but I also use some medium format, digital and mobile phone pictures, depending on my mood. I put edits of my photos on my website, and am on flickr as knautia and instagram on @avon_stories. As part of the project, I am doing a lot of urban hiking, following rivers and streams where I can. These usually involve other people, walking and talking, and discovering together. We’ll go off-route, and explore places near the rivers, especially historical sites, nature reserves and art; and deviations from the path to find coffee is a given. But as well as these planned routes, my day-to-day walking is also very much part of the project. 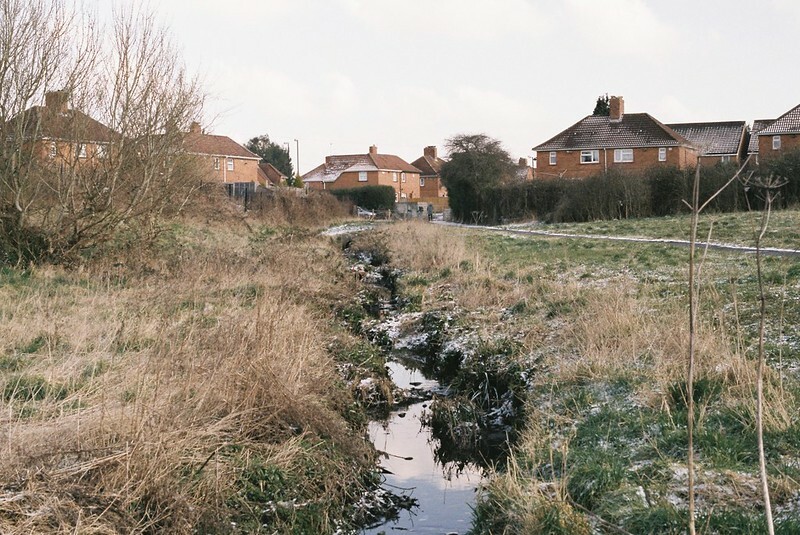 Diverting from a commute to find some water, or stopping on the way to meet a friend to notice a familiar place looking somehow different, are just as much of my practice, and it’s important to me to combine my project with my everyday life. I put maps and blogs about my walk on my website, and am thinking a lot about different ways to represent or describe the walking side. I tend to tweet from my walks from @avon_stories. Podcasting is a fascinating media, and can be very high tech, but I like the minimal approach. I’m using this strand of my project to interview people and find out more about things I’ve always wanted to know about. So far, the podcasts have three very broad categories, discussing history, physical places around the water, and talking with artists whose practices include the water somehow – however, there are also ones that don’t fit into these groupings. Some of the podcasts are recorded in one place and others are on walks, or in the places we talk about.